Ashwin Sanghi is an Indian writer and entrepreneur. He has also written: Chanakya’s Chant and The Krishna Key. He is also known by his pseudonym: Shawn Haigins. A graduate of the Yale School of Management and St. Xavier’s College, he has since been awarded several acclaims for his work. His second book has been optioned for a movie by UTV and is expected to begin production soon. He currently lives in Mumbai with his loving family. To begin with, the cover page is very simple with authors name as large as the book’s title itself with a man running in panic. It thus, reveals what is in store – Two brilliant and best-selling authors… And a thriller as plot! The book blurb is crisp and briefs the background. The next thing that catches any reader’s eye is the tagline – “It’s the season for murder in Mumbai”. This accelerates reader’s anxiety to read. As soon as we open the book, we realize why the book is so huge; because of its generous line-spacing. It is a treat to eyes. The narrative is lucid and flows with ease. There are twists and turns and an intelligently planned murders to be solved. The multiple murders keeps the readers hooked to the story. The question remains in the back of the head – “Who is next! ?” The book lets the readers to keep guessing till the end of the book, thereby retaining the suspense element throughout. The details of technologically advanced gadgets was interesting. And, the reference to Goddess Durga was intriguing. 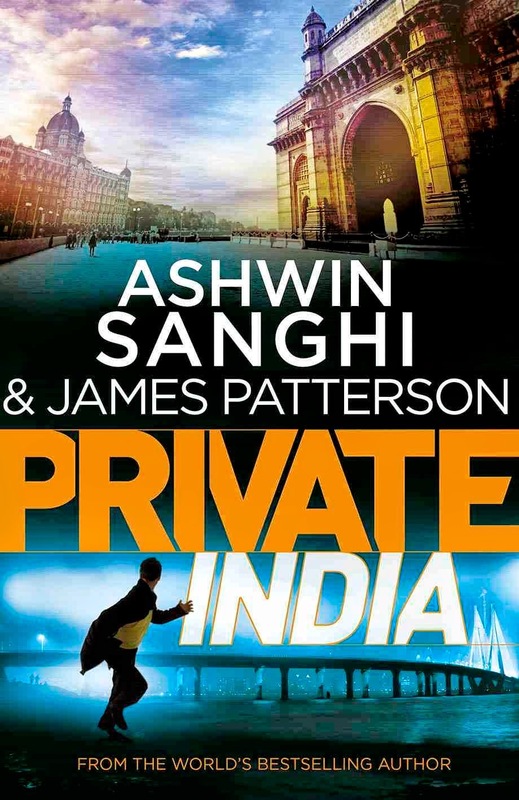 James Patterson is knows for writing thrillers and Ashwin Sanghi is famous for his mythological sagas. This book combines the best of both and renders an interesting cocktail; a new taste, a new flavor. There are as much as 470 pages. I wish it was lesser! A little more editing would not have hurt, I guess. There are too many characters. Sometimes, when the book is huge, introducing more characters would confuse the reader. Time and money well-invested, I say! PS: Author sighed copies are always a pricey possession. Yay! And I hope that you would enjoy!